One the most psychedelic animated films ever made, Fantastic Planet (aka La Planète sauvage) made waves in 1973 when it won the Grand Prix special jury prize at the Cannes Film Festival and was subsequently released in the U.S. via New World Pictures. Based upon the 1957 French science fiction novel “Oms en série” by Stefan Wul, the film tells of a future inhabited by gigantic blue creatures called Draags who keep humans (known as Oms) as pets. One of the Oms, Terr, escapes and joins up with a group of Oms that live in the wilderness, educating them with Draag knowledge. Eventually, they must fight against adversity from their environment, as well as the Draags who are systematically attempting to exterminate the Oms to control their numbers. The main thing that I admire about Fantastic Planet is how truly alien it is. It’s like nothing you’ve seen before or since. It’s odd, and that its best quality. If we’re seeing a society in a future that takes place on a distant planet, it shouldn’t resemble our own the way many science fiction films so often do. Of course, the most obvious and notable aspect of the film is its allegorical quality. Race, animal rights, civil rights... even Nazi Germany, are all there to be interpreted. It’s part and parcel as to why the film continues to have a good shelf life. New generations continue to discover it and find new meanings in it that relate to their own lives. Outside of that, it’s also one of the most stylish and mind-bending films, animated or otherwise, of its era. 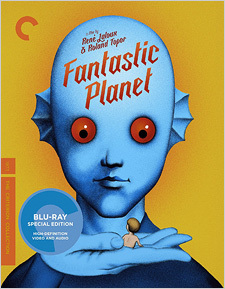 Criterion’s Blu-ray release of Fantastic Planet comes armed with a new 2K restoration from the original 35mm camera negative. While there are definite improvements over previous releases, there is one aspect of this new restoration that may or may not be a problem for some people, which is the color. 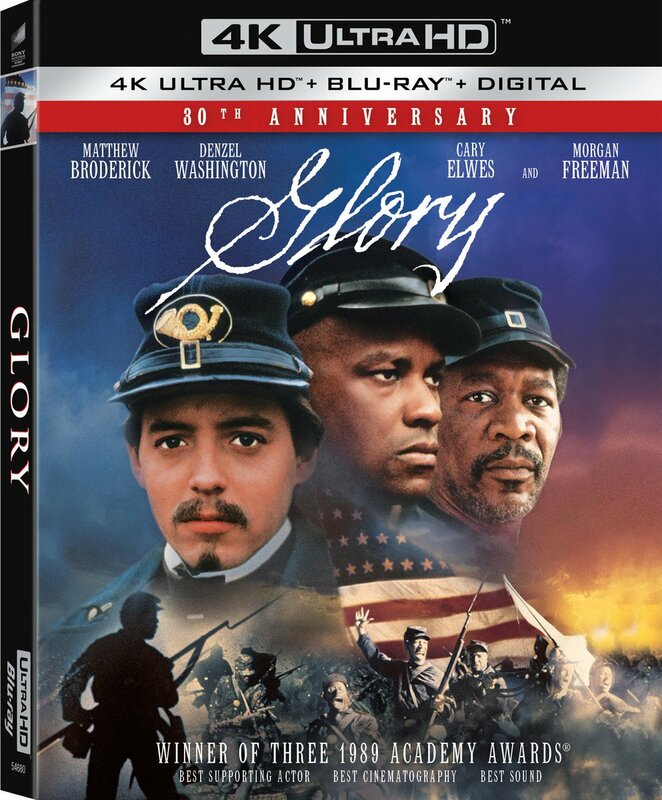 Previously on DVD and Blu-ray, the film carried a much warmer color palette, which now appears more blue. As to which one is authoritative, I have no idea. I’ve only ever seen the film on DVD and was accustomed to the warmer palette. To my eyes, it doesn’t do the film any injustice, particularly due to the quality of the transfer itself. There’s a more natural and even grain structure on display, solid density, higher levels of fine detail, deeper blacks, and improved brightness and contrast. There’s also next to none of the damage leftover as seen in previous incarnations. It’s definitely the best the film has looked in ages, and when you’re striking a new transfer straight from the original camera negative, desirable results are usually to follow. For the audio, two options are available: French mono LPCM and English mono Dolby Digital, the latter being a dub. Of all the aspects of the audio, the score benefits the most from this new restoration. It’s as crisp and clean as you could ask for and really drives the film’s soundtrack. Dialogue is clean and clear and sound effects have ample support as well. I’m not particularly a fan of the English dub as I prefer the characteristics of the original French language soundtrack, but I also believe that it’s the better option sonically. Optional subtitles are also included in English SDH. For the supplemental material, there are several things of interest. There are two Laloux and Topor short films: Les Temps morts from 1965 and Les Escargots from 1966; a Laloux Sauvage 2009 documentary; Italiques: “Roland Topor”, a 1974 French TV episode; Roland Topor, a 1973 French TV episode; the film’s theatrical trailer; and a fold-out paper insert with a poster on one side and an essay on the film by Michael Brook, as well as restoration details, on the other. For those who might be wondering, the Eureka! Region B Dual-Format Blu-ray release also contained three additional short films: Les Dents du singe, Comment Wang-Fo fut sauvé, and La Prisonnière. The Accent Cinema DVD release also contained a music video by Sean Lennon for “Would I Be The One” and a photo gallery. The music video I can do without, but I personally would have liked to have had the photo gallery and additional shorts included as well. While not a rollicking piece of narrative, Fantastic Planet’s exploration of relationships between different sets of beings, as well as its animation style, continues to make it stand out almost fifty years after its original release. Besides being a film that animation fans definitely should not miss, Criterion’s Blu-ray treatment of it is a true delight and highly recommended.